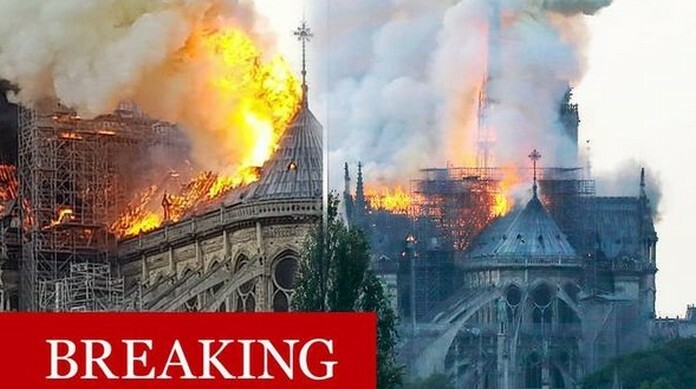 A HUGE fire has engulfed Notre Dame Cathedral in Paris (France), with thick smoke and flames billowing from the world famous historic building. 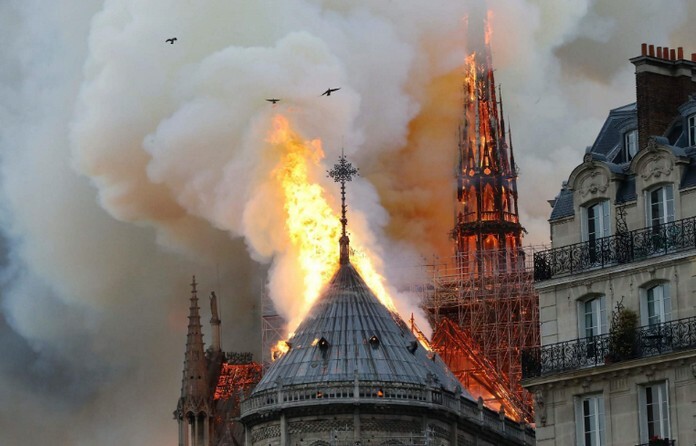 The spire and roof of the landmark in France’s capital have collapsed as flames rip though the 850-year-old building. Dramatic pictures and videos show smoke rising from the medieval cathedral. A major operation was under way. ﻿ Authorities have not yet released the cause of the fire or any further information as to how the fight to suppress the flames has progressed. The fire may potentially involve renovation works being carried out at the site. “The roof has entire collapsed, there are flames coming out of the cathedral as if it were a torch. It looks like the Olympic torch from the back with flames coming through the roof,” France 24 journalist Charli James reported live on air. The 90 meter — 295 foot — spire soon after collapsed onto the roof.